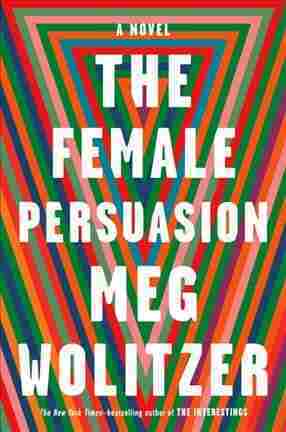 Meg Wolitzer's 'Female Persuasion' Honors The Women Who Helped Her On Her Way Wolitzer's new novel tells the story of two women: an 18-year-old college freshman and the famous feminist who befriends and inspires her. Meg Wolitzer started writing her new novel years before the #MeToo movement, but you wouldn't know that from the story. The Female Persuasion centers on two female characters. The first, Greer Kadetsky, is an 18-year-old college freshman. At the beginning of the novel, Greer is assaulted by a guy at a frat party, though she doesn't initially think of it as assault. The second character, Faith Frank, is a famous feminist in her 60s who has come to give a talk on Greer's campus. "She's a very inspiring figure," Wolitzer says. "She's someone who's really comfortable talking to women and just sort of stirring them up, and that's exactly what happens when she comes to Greer's college." Faith and Greer meet at the talk, and the rest of the book charts the relationship that develops between them; the ways they support and betray each other, and the ways they and other women struggle to raise their voices in the world. Wolitzer tells NPR about what inspired the book, and how filmmaker and author Nora Ephron once played Faith to her Greer. She doesn't know what to think it is. She doesn't know what's happened to her, and she's a little embarrassed to try to give it words because she's not sure about what it is. And I think that's a feeling that, looking back on my own childhood, there were moments that something happened, not this, but there was some moment where somebody says something and you say, "Wait a minute. Is that right?" We all would love the idea of people getting what's coming to them in books and in life, but sometimes the trajectory is a little more complicated than that. ... He's still out there. ... I don't want to turn him into a cartoon villain. I want him to have done this, you know, really horrible thing in the beginning of the book ... and [get] away with it and [march] through the world in a way that some men have been allowed to do. But he's still there. ... I think what we remember of the books we love isn't so much plot, but character. To me, he's a figure I know and he was always lurking around the edges of my mind. I sometimes feel as if ideas for a novel kind of pop up like numbers in a bingo tumbler, and then they're ready to go. ... When I think back on myself as a young woman, or even a young girl like Greer, I was sort of hot-faced and ... I was not fully able to say the things I wanted to say, but I was full of things that I did want to say. And I was helped by a number of older women who were very generous to me, and I think it was a really useful thing. And as I reflected on that, that number popped up in that bingo tumbler and I felt like I had had enough time thinking about it that I now could, you know, put some of these ideas into a novel and into the minds and mouths of characters. I'm really interested in women of different generations. ... I think there is no one female experience. When I was in junior high school, friends and I were in a consciousness raising group, a term that now seems quaint like a butter churn, but it was very powerful. It was a really wonderful experience. And we wrote away to the National Organization for Women asking for a list of topics, and they sent us like a brochure that had topics in it like "sexual fulfillment and you," when we really wanted "when your parents won't listen." You know, we were very innocent. And then as I got older, being helped by older women myself and then finally being in a situation where I'm the older woman to younger ones — like, wait a minute. You see things from a lot of different vantage points, and I think one of the great things that a novel can do is show in different ways what is it like. ... What is it like being female in this moment? Nora Ephron became someone tremendously important to me. ... I had written a novel that was published as the title This Is Your Life, and Nora Ephron and her sister, Delia Ephron, wanted to write a screenplay based on it, and it was called This Is My Life, because of the rights. And it was the first film that Nora directed. So she was a screenwriter and a writer, a wonderful essayist, and had written Heartburn, the novel, and she invited me into the process in a very generous way. ... And then after that, the friendship lasted. And when I had a new novel, I always wanted her to see it because she's someone whose taste I trusted and whose enthusiasm meant so much. And I'm not the only one. After she died ... women spoke about how she would invite them to lunch to talk about their work. And I think being seen, something that it does is it makes you able to see yourself in a new way that you might have perhaps been a little afraid to do or embarrassed to do sometimes. Justine Kenin and Becky Sullivan produced and edited this interview for broadcast, and Nicole Cohen adapted it for the Web.